Waterproof breathable outer shell jacket with an elasticized shirred waistband. Two inverted pleat pocket with mitered flaps and two set in zippered cross draw pockets. Concealable hood folds into zippered pocket on the under collar. Side equipment zippers. The front and back yokes have concealable Secret Agent Panels that come standard as plain color matched panels. 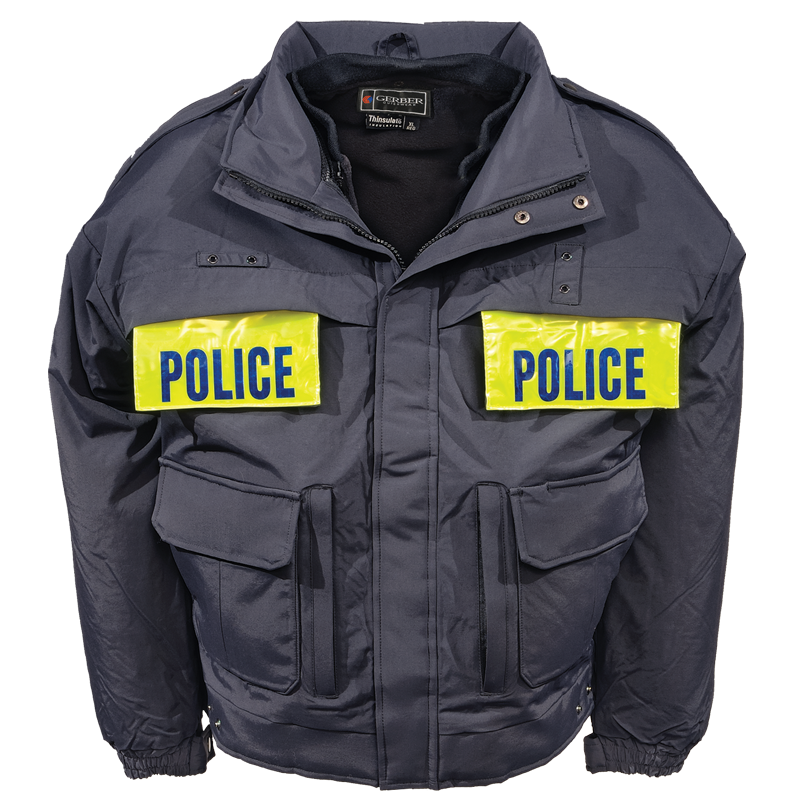 Jacket is shown with optional reflective vinyl clad panels with blue Reflexite lettering. The panels can also be customized with non-reflective white lettering or reflective silver Scotchlite lettering applied on the standard dark color background. Interchange Zippers accept compatible Inner Liner Jackets. Add the Warrior Soft Shell or Scout Fleece to create a 3 in 1 system jacket.